As Amazon infiltrates the South East Asian region, marketers need to be aware that their main marketplace and ad platform could soon be their biggest competitor – and this could spell disaster for brands, writes JWT's Riku Vassinen. Amazon Prime Now was launched in Singapore some time ago to a lot of buzz. Shopaholics in Singapore crashed the app and some of the deliveries had to be fulfilled by taxis. Yet, despite the early hiccups, Amazon will eventually rule South East Asia, just as it does everywhere else in the world. The success of Amazon in India showcases that it can evolve its operating model to suit the local requirements. So the main question for a brand is not whether Amazon will dominate this region: it is how your brand will survive in the Amazon-lead marketplace. The main role for advertising has been strengthening the mental availability of your brand. After being exposed with consistent signals of the brand, consumers are more likely to select the brand when need arises. The strongest brands are the most familiar and the most available. As e-commerce increases availability, you either pick the most familiar or the cheapest alternative. In the future you are either strong brand or no-brand, mediocrity is not an option. Marketing is moving from mental availability to algorithm availability. Your brand will be as strong as your search result. Amazon has been very smart on shaping this trend with its private label product range. It is the market leader in the digital sales of batteries. Within only two and half years, it is already third in baby wipes behind established brands Huggies and Pampers. In Singapore, you can already buy Amazon-branded HDMI cables, dog waste bags, foam rollers and scissors to name a few. Private labels have not been as popular in South East Asia as other markets, but Amazon might be the gateway for bigger breakthrough of own-branded products in this market. And they are not just any private labels. They are building upon the mental availability of the world´s fourth valuable global brand. The role of strong brand in your category cannot be underestimated. If your audience is actively searching and demanding your products, you will still thrive in the more price-savvy marketplace. If you cannot create that demand, you will be at the mercy of the algorithms and likely to be replaced with Amazon-branded products. The majority of shoppers in mature Amazon markets already start their buying journey in Amazon. In due time Amazon will also become the most important product search engine in this region. This requires radical rethinking on search and programmatic media split. It also demands a different creative approach. Advertising on Amazon is more of a hybrid of performance and digital retail marketing. There are already specialist agencies only focusing on Amazon advertising. The opportunities are not limited to simple tactical product push. Prime Video (already available in region) is a closer equivalent to digital prime time property than what Google and Facebook currently have. Amazon Dash buttons bridge that gap between the mental and algorithm availability by enabling re-order of your favorite brand with one press of a button. Voice assistants are the next big digital thing, merging good consumer experience and marketing. According to rumours, Amazon Echo will launch soon here. Voice is interesting even for brands not selling their products in Amazon. Many airlines have already been collaborating with Amazon Alexa. Armed with this robust advertising ecosystem Amazon can truly shake Google-Facebook digital advertising duopoly. Amazon´s advertising business estimates show fast growth but would still only be four per cent of total online advertising spend in the world. The opportunity is bigger than analysts realise. 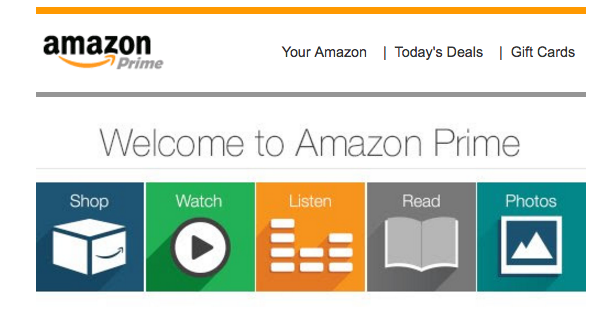 Amazon has not yet put that much focus on its advertising offering. Eventually it will, because it has higher margins compared to retail goods (20-30 per cent versus five per cent). The digital advertising is currently plagued by ad fraud and consumers are increasingly blocking the ads. Brand will pay premium for ability to target as close to the actual sale of the product as possible and to have accurate tracking of their performance. Amazon data is the most valuable kind: audience consumption and spending. They have just scratched the surface on how to utilise that in their advertising offering. E-commerce is growing with rapid pace in South East Asia and will eventually become the default way of buying. In the future Amazon will not only be your main marketplace and ad platform, but also your biggest brand competitor. Brands need to collaborate with Amazon while ensuring at the same that it will not crush them.